At the heart of the club-store model is a system of high-volume sales, low-cost purchasing, and efficient distribution, all of which are dependent in varying degrees to product packaging. 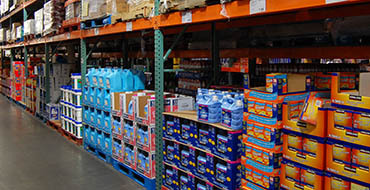 According to the Warehouse Club Intelligence Center, “Packaging is one of the single most important components of a warehouse club program.” Costco, for instance, is constantly evolving their specific expectations for supplier packaging. There are several elements that have come to define the club-store pack. These include retail-ready designs, outstanding graphics communications, innovation, and most recently, low environmental impact.